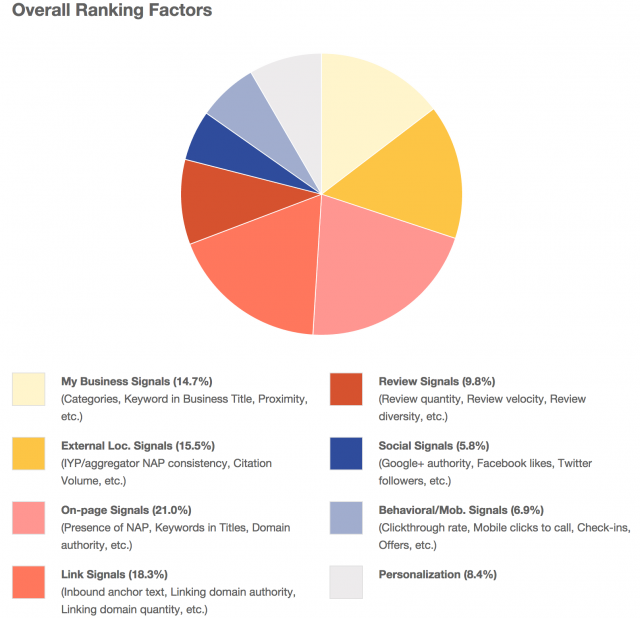 Like the past several years, including last year, David Mihm has published the local ranking factors for 2014. It is basically a bunch of search experts responding to a questionnaire aimed at understanding what these experts think about local ranking factors. 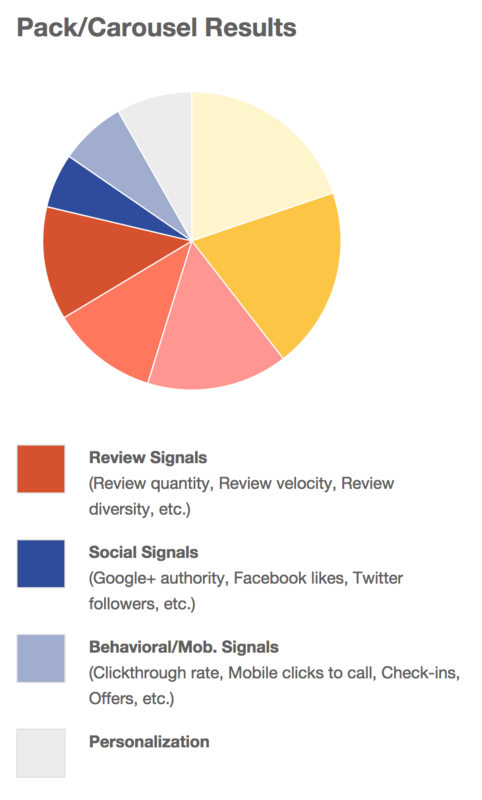 user behavorial signals on the site now appear to count higher than previously. proximity to the searcher has been significantly cranked up, even on the desktop. As David puts it: "The user is the new Centroid." 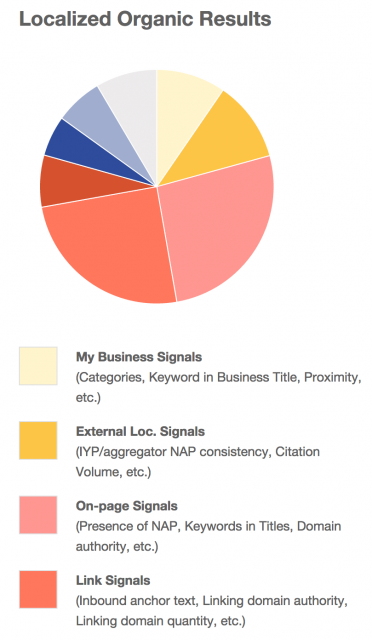 following the Pigeon changes, domain authority plays a larger part in local rankings. consistency of unlinked citations in authoritative sources appear to affect even localized organic results. Here are some of the graphs but a lot more are on the official report.